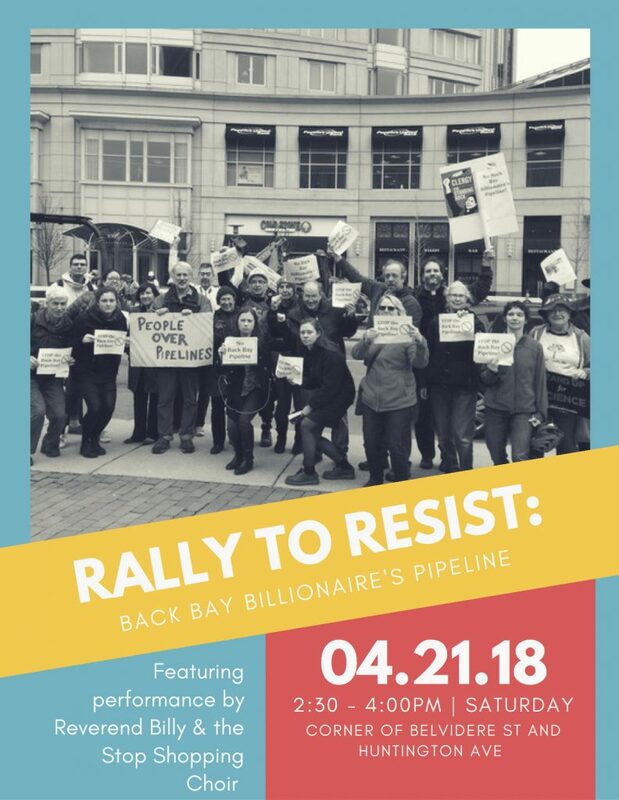 Location: Corner of Belvidere St. & Huntington Ave.
Reverend Billy and the Stop Shopping Choir will help us communicate to National Grid, Mayor Marty Walsh, and other elected officials why business as usual/expanding fracked gas infrastructure is NOT the way we need to go. We want to accelerate the transition to a clean, green, renewable energy system. We want to construct 21st century buildings that meet passive house/state-of-the-art standards. We need to build a more equitable society, not one that primarily serves the billionaire class. Join us!